UPDATE: Earlybird registration has been extended! Get a Full Access pass for just $159, instead of the full price of $239. The early bird price has been extended until Monday, January 27, 2014. As if hearing about three previous years of classes, labs, and live streaming weren't enough to entice you to attend, this year's keynote speaker lineup most certainly will. The link for the earlybird registration is near the bottom of this post. 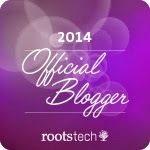 We're excited to announce an all-star lineup of keynote speakers at RootsTech 2014. They will inspire us all to discover and share the stories that connect our families-past, present, and future. Stephanie's story of survival and recovery after a plane crash captured the hearts of the nation. She has inspired others through interviews with Oprah Winfrey and on theToday Show. The fourth annual RootsTech conference, hosted by FamilySearch, will be held February 6-8, 2014 at the Salt Palace in Salt Lake City, Utah. In addition to renowned keynote speakers, the conference features over 200 classes, hundreds of booths in a huge Expo Hall, and evening events. Early bird pricing is available until January 6, 2014. Register today!